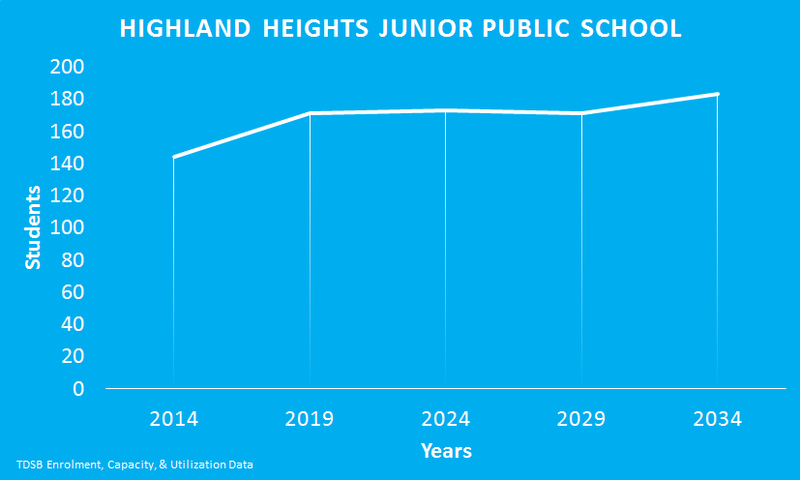 The TDSB projects that Highland Heights Junior Public School’s enrolment will grow over the next 20 years. Highland Heights Junior Public School is part of the Model Schools for Inner Cities Program. Highland Heights Junior Public School shares a building with Jean Augustine Girls’ Leadership Academy (30 students).